This morning’s Hangouts update on Android finally began the process of merging Hangouts with Google Voice, something Voice users have been waiting well over a year for. We know that not everyone has seen the prompt to initiate the merge process, but for those who have (and those who will soon), we wanted to make sure you got everything setup correctly after the fact. Since you likely still have Google Voice installed (you may not be able to uninstall it all yet), there are a couple of boxes here and there that need to be checked or unchecked to get this whole situation in order. Once you have merged, the following should help you get Hangouts working properly with your voicemails from Google Voice. 1. 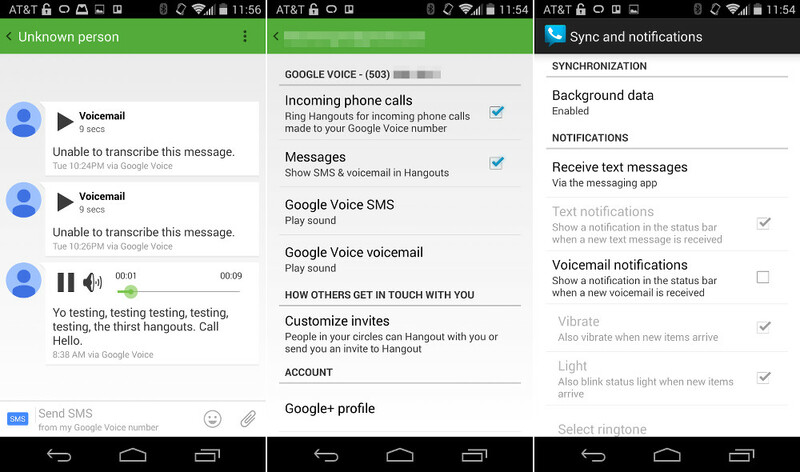 Enter the Hangouts app (v2.3 apk download), and jump into Settings. 2. Choose the account that is associated with your Google Voice number. 3. Scroll down to the section for “Google Voice” – should also see your GV number listed. *There are other settings for SMS and voicemail in there, feel free to customize your personal experience. 5. Now, back out and open up your Google Voice app. *This removes GV notifications, so that you are only seeing them in Hangouts. You don’t want double notifications do you? 9. 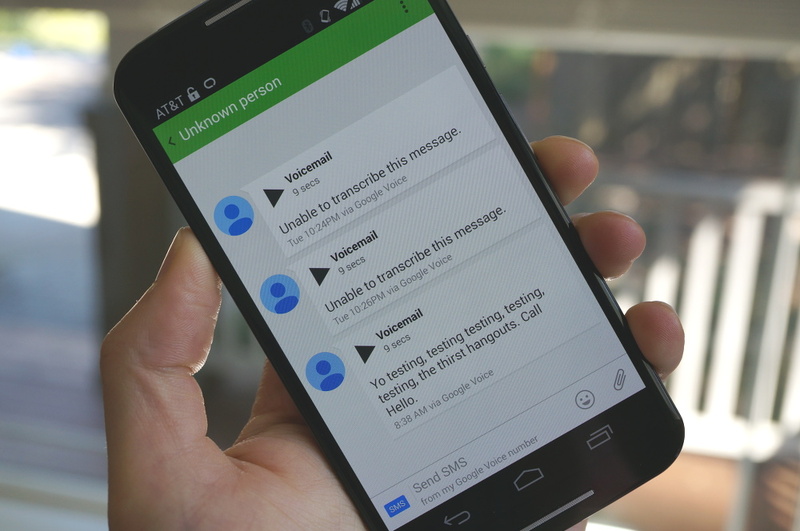 You are now ready to check your voicemails in Hangouts. As far as I know, Google is not importing old voicemails, so you will only see the new ones as they arrive going forward. Once you see get a new voicemail, you will see it appear just like any other message in your list of conversations. Tap on that message, look to see if Google transcribed it, and then feel free to play it either through the earpiece or external speaker.